A hostel full of charm and character. Staff were really friendly and professional. One night there were two guests that were extremely loud about 4am and I felt a staff member should’ve intervened to quieten the situation. All good. Especially comfortable atmosphere and bed. My second time to magic bus, staff always trys best to be helpful, yes 1 bathroom for all guest but most of the time no problem just if get selfish people. Kitchen is stocked with what mostly needed. Good food & stores near by. Metro not far walking to main street area. Landry service available. 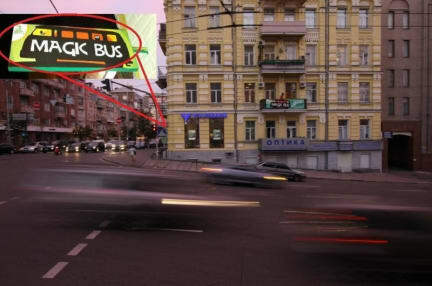 Coming area as all hostels depends on who's there at the time weather a chill place or party place. But great peaceful vibe.. I'll be back again.! Very quiet, relaxed atmosphere, not terribly social. This isn't a party hostel, come here for a good nights rest, but nothing crazy. The walk to the train station is doable, but it isn't trivial, it takes at least a half hour. Aside from that, location is great, right in the center of things. Staff are friendly, but the hostel doesn't feel terribly organized. There isn't a front desk, so you have to search for an admin when you need something. Great hostel, friendly staff and a cosy atmoaphere. This place really has a soul. Would go again! It's a small apartment with one dorm (12 beds) and two private rooms. We (2 people) were there on the weekend of the Imagine Dragons concert. So the hostel was buzzing with people. Our host Elena was very friendly and her suggestions helped us explore Kiev. There is only one toilet though and when the hostel is full, it's no fun standing in line for 30 min. The mattresses were too soft to our liking. All in all, it was a good experience there. There were bed bugs infestation in the pillow and bed cover. Otherwise, OK.
One toilet and one tiny shower room, inconvenient. Security is fair. 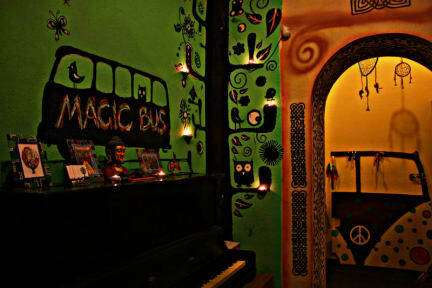 Magic Bus is a one-room hostel, with one toilet and no common areas. The place is DIRTY. Filthy. Old mattresses with springs piercing your back at night. The staff is alright, nice, not too helpful but easy. Position's okay, about 20 minute walk to the centre. It honestly feels like a squat. How this place got 8 stars, it's a mystery to me.